An item for every kid. 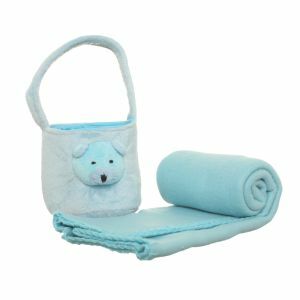 Soft and warm 75 x 70 cm blanket in equally soft plush basket decorated with head of an animal corresponding to the pattern on the blanket. The basket can be later used as a toy storage. Adorable item for every kid.